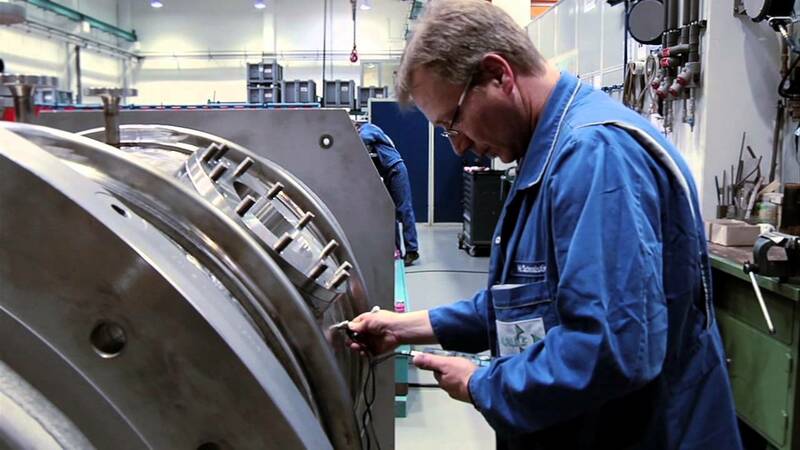 Lödige supplies high-grade components, subsystems and systems for technical processing applications in a wide range of industries. The applications in the field of mixing, granulating, coating, drying and reaction are focus of the lead portfolio. Profound knowledge of processes, development and production contributes to the success of Lödige partners throughout the world. Lödige, founded in 1938, is a family-run business in its third generation now. With the invention of the Ploughshare® Mixer, Lödige created a mixing unit that can cover a wide range of different processing tasks.. This unit forms the basis for numerous innovations in the area of mixing and processing technology. Industrial mixing and processing technology has been significantly influenced by Lödige and will continue to be so in the future. Over 500 patents and more than 30,000 machines and systems demonstrate the experience with customer-oriented system solutions. Lödige operates with more than 500 employees worldwide and supports its customers with a network of subsidiaries, technical offices and agencies. Here you will find all the lectures and events of the exhibitor Lödige Process Technology, which take place as part of the POWTECH program. Please note, that you may have to pay for some lectures. Lödige provides a suitable technology for each application according to the specific requirements of products and customers. The Ploughshare® Batch Mixer operates on the principle of a mechanical generated fluid bed introduced by Lödige to mixing technology. Equipped with mixing elements which can be adapted to individual requirements, these machines achieve mixes of highest quality. Ploughshare® Shovels rotate as mixing elements in special arrangement on the mixer shaft in a horizontal, cylindrical drum. The size, number and positioning, geometric shape and peripheral speed of the mixing elements are coordinated in such a way to generate a three-dimensional movement of the components. The resultant turbulence in the mix, with total involvement of all product, prevents the formation of dead spots or low-movement zones and ensures high-speed, precise mixing. Modified mixing elements and adjustment of the peripheral speed ensure a flexible use of Lödige Ploughshare® Mixers in a wide range of applications, for processing bulk products (powdery, grainy, fibrous) or for processing mixes suitable for pumping. Products having extremely different bulk densities and structures can also be mixed successfully in Lödige Mixers. In special cases, the effect of the mixing elements may require additional support and this is provided by separately driven, high speed choppers which are able to disperse agglomerations and control granulation. Continuous granulation has always been tradition at Lödige. Ring layer mixers of type CM are well-known to perform continuous granulation in many fields. And for continuous dry mixing, the Ploughshare® Mixers are used successfully over years now. But one thing was missing in the portfolio: an appropriate dryer. This gap has now been filled by a new machine of type LCF. Together with the ring layer mixer of type CM and the customer’s dosing technology, this dryer provides a complete continuous granulation line called GRANUCON®. The dryer LCF works in accordance with the fluid bed process. A general disadvantage of the continuous fluid bed has always been the wide retention time distribution inside the machine. This is why Lödige specialists have now integrated a screw in the fluid bed dryer in order to have certain influence on the retention time distribution. The dryer is designed for throughputs ranging from 5 kg/h up to 30 kg/h depending on the product humidity. The High Shear Mixer is designed for mixing, granulating and sieving pharmaceutical powders and granulates as well as a wide range of cosmetics and food products. A three-arm mixing impeller rotates close to the wall and bottom of the vertical, cylindrical mixing drum. The shape and peripheral speed of the impeller are coordinated in such a way that the product forms a vortex. This achieves short mixing times, excellent homogeneity and enables a defined build-up of granulates. A separately driven chopper unit disperses any lumps in the product, ensures uniform moistening and granulation of the powders. Liquid addition is carried out either by gravity or by means of a pump, directly into the mix right above the chopper, thus achieving best possible distribution. The optional wet sieve installed at the mixer discharge gives the granulates a very uniform size distribution upon discharge of the product from the mixer. The PC/PLC based control system is provided with the SCADA system WinCC and designed in compliance with CFR 21 Part 11. The updated user surface enables an intuitive machine control in service and automatic modes for production and cleaning processes. All parameters, graphs and messages are clearly represented on the screen. Any batch documentation is performed as hard and soft copy. In case of warning and alarm, the whole screen is highlighted in a specific colour in order to draw the immediate attention of the operator. The Continuous Ploughshare® Mixer operates on the principle of a mechanical generated fluid bed introduced by Lödige to mixing technology. Equipped with mixing elements which can be adapted to individual requirements, these machines achieve mixes of highest quality. The peripheral speed and geometric shape of Ploughshare® Shovels, rotating close to the wall of a horizontal, cylindrical drum, lift the mixing components from the product bed into the mixing area and scoop material from the wall of the drum counteracting the centrifugal force. A fluid bed generated mechanically in this way, whereby all product is constantly involved in the mixing process, ensures maximum mixing intensity at even the highest feed rates and shortest residence times. The specially shaped mixing elements ensure best product conveyance. The continuous process is operable at filling levels between 20 and 60 % without influencing the mix quality. The mixing elements are positioned so as to achieve a constant back-mixing during the whole residence time prior to discharging the product via the outlet for further downstream processing. Choppers can be installed in the mixing drum as optional equipment to disperse agglomerates and provide controlled granulation during the mixing process. The Lödige Coater has been specifically designed for the coating of tablets. With this system, Lödige has grown to be the technology leader for Coating Systems in the market. The combination of maximised tablet bed surface area, the large number of spray nozzles and high inlet air flow rates allow the spraying of a maximum liquid quantity within a short time. The new concept for the air channelling ensures almost turbulent free air flow, allowing the drying air to be used in a very efficient manner and being gentle to the product at the same time. These characteristics allow for a reliable coating process and short process times. Furthermore, the almost absence of any turbulence in the air channelling prevents the formation of fouling from the beginning, thus minimising the cleaning. The use of modern sensors optimises the spraying and drying process. An easy and reliable adjustment possibility of the spray arm makes the handling easier too. Variability of filling degree without having to change the coating drum: the reduced height of the mixing elements enables a flexible working volume. Uniform coating and short process time: large number of mixing elements and nozzles to ensure an optimal and uniform spraying of the coating solution. High speed = time is money: high drying efficiencies, high spray flow rates achievable thanks to a uniform air distribution over the entire drum. Optimal air channelling: quality improvement: optimal air channelling prevents spray drying, increases the service life for campaign production and reduces the cleaning. Easy cleaning: the use of complex cleaning technology with its high mechanical effect ensures quick and effective cleaning. This saves money, cleaning agent and energy. Fully automatic spray arm: adjustment of the spray arm is patent pending. Not only the clearance between the nozzle and the tablet bed is adjustable, but also the spray angle to the tablet bed. Sugar coating: Lödige Coater can be equipped for the production of film tablets as well as dragees. Mini-tablets or pellets: drum perforations are available in different sizes to suit the product. Qualification: complete qualification documentation incl. risk analysis based on design documents, GAMP5 documentation. In addition to various production sizes, Lödige also provides a laboratory version of type LC Lab. The Lödige Laboratory Tablet Coater is a modular unit capable of being equipped according to the individual requirements of the customer. Designed to be multi-purpose, this Coater is not only easy to operate but enables quick and efficient processing. Parts to be dismounted are all lightweight. The drum and the spray arm can be partitioned in order to process small quantities (0.6 l). The Coater and the liquid supply stations are made of Corian® - a high-resistant and light material complying with FDA – which gives the unit a functional and modern design. The Laboratory Coater is to be understood not only as a laboratory unit, but also as a complete coating system which can operate under the same process conditions as the production coaters. With the aim of improving process and tablet quality in film coating Lödige Process Technology has introduced a new technical solution by which the air and thus heat energy is evenly distributed over the entire tablet bed. In contrast to conventional coating systems, with the “airflow around the coating drum” process the air flows in via a distributor pipe and circulates around the drum of the coater. The air thereby enters the drum over an enlarged area, ensuring a very even, almost turbulence-free airflow inside the coater especially in the nozzle zone to guarantee optimum coating results. Thermal imaging cameras were systematically used in the development of the process – the first time in this area of application. In tablet coating the airflow has a decisive influence on the coating process. Turbulence in the nozzle zone will cause fouling on the inside of the coater, on the nozzles and the spray arm. This may reduce operation life time in campaign production or – when the encrustation becomes detached – lead to a deterioration in product surface quality. Furthermore, an uneven airflow results in unbalanced temperature distribution in the drum. In the “cold zones” the freshly sprinkled tablets dry poorly with the risk of twin formation. On the other hand, tablets will be overheated in hot spots which will lead to rough surfaces. Turbulences must, in any case, be prevented, particularly in the use of organic solvents such as acetone or ethanol, as spray drying and consequential defects in the film-coated tablets may otherwise occur. All these faults will be reliably prevented with the “airflow around the coating drum”.